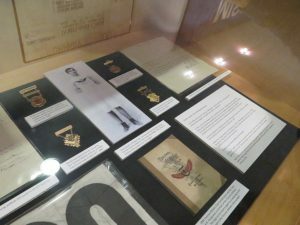 The Shanaman Sports Museum in Tacoma ranks on top of the local history gems everyone seems to walk by without realizing there are treasures inside. Thousands pass right by it when they enter the Tacoma Dome, but only a fraction ever strolls through its admission-free collections. The display cases tell the story of all things sports and famed athletes with local ties. The non-profit, volunteer-driven museum, which opened in October 1994, is named after Fred Shanaman, a local business and sports enthusiast and civic icon who worked on such projects as landing the NCAA Women’s Basketball Final Four contest in Tacoma in 1989, the Goodwill Games of 1990, the founding of the Tacoma-Pierce County Sports Commission and chaired the effort in 1957 that grew to be the Tacoma-Pierce County Hall of Fame. The museum by the entrance of the Tacoma Dome is solely dedicated to telling the story of local sports in all its forms and with all its characters that is also recapped in “Playgrounds to the Pros: An Illustrated History of Sports in Tacoma-Pierce County,” a book spearheaded by the museum’s president Marc Blau. Anchoring the collection of almost-forgotten sports history is the museum’s showcase of artifacts of the Tacoma Indians, formerly the city’s professional football team. The Indians won seven games and lost four during its single season in 1946-1947, going down in history as the only Pacific Coast Professional Football League champions to never play again. Another football footnote largely lost to history is that Milt Woodard, a graduate of Stadium High School and the College of Puget Sound, (now University of Puget Sound) was the commissioner of the American Football League when it merged with the National Football League. There are pieces of memorabilia from more recent locals who went pro, namely Seahawk Jermaine Kearse, who graduated from Lakes High School. 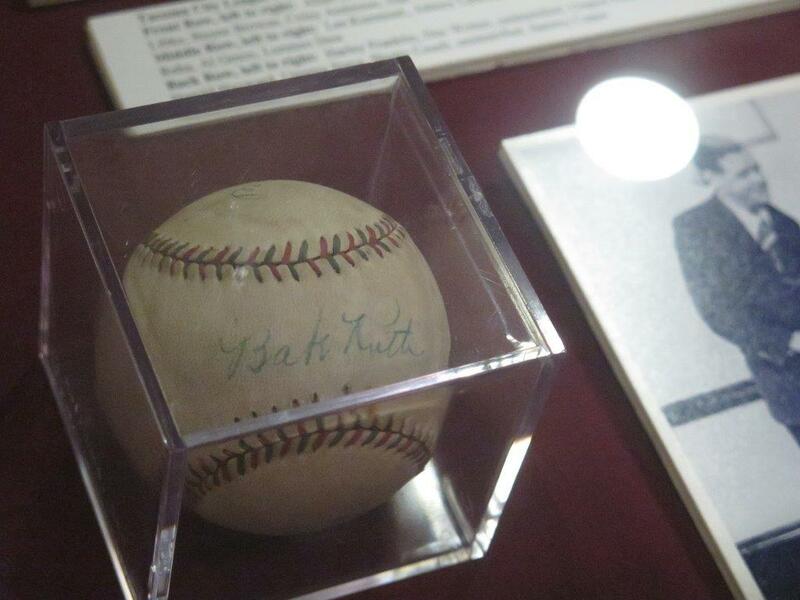 There are also shoes and a Celtic jersey worn by former Curtis High School Viking Isaiah Thomas alongside a baseball signed by the Sultan of Swat, Babe Ruth during an exhibition game in 1924. He was in town to play in the Tacoma City League All Star Game at the Stadium Bowl. He only managed to land double to center field after hitting two home runs in a similar All Star Game in Spokane the previous day. He would hit three homeruns in Seattle the day after leaving Tacoma. Of course, writers will be drawn to the display of some of the icons of sports journalism, particularly KLAY radio founder Clay Huntington, who is best known as the voice of the Tacoma Tigers (now the Rainiers) between 1946 and 1951, but who also played key roles in the construction of Cheney Stadium and the formation of the Tacoma Athletic Commission, which is celebrating its 75th year of operation. Although he died in 2011, Huntington was honored posthumously on April 21, 2012—what would have been his 90th birthday—with the renaming of Cheyenne Street to Clay Huntington Way, a roadway between 19th Street and Cheney Stadium. Another sports journalist and civic notable is Morley Brotman, who not only photographed the Tacoma Tigers but also planted the kernel of what would become the Tacoma Dome 30 years after he first floated the concept. 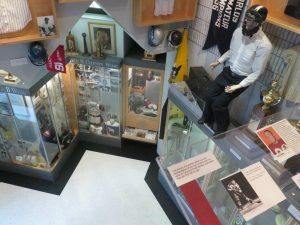 More than just sports memorabilia and autographs, the museum has exhibits on 35 sports, from archery to curling, fencing to volleyball and racing. Sports programs—from iconic rivalries between Stadium and Wilson to fight cards from boxing matches and high school swimming tournaments—are not only archived for research, but also have been digitized and posted online alongside an extensive collection of sports photos from Tacoma’s bygone era. Museum volunteers are also working on crafting profiles of local sports figures to deepen the museum’s database of facts, figures, statistics and historical perspectives for future sports enthusiasts to research and enjoy. 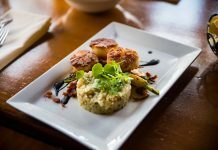 While admission to the museum is free, its location inside the Tacoma Dome and the museum’s reliance on volunteer docents requires that visitors must be attending the event at the Tacoma Dome to come inside unless they set up an appointment.